If you want to know about the history of locks you will have to look back a long time ago. Locks, locking gates and doors were mentioned way back in the bible. During that time the locks that were fabricated were mainly made out of wood and carved to work just like locks do today. There were royalty throughout the ages that have used locks to show off their status. The more ornate the locks were the higher class they denoted. Locks were also made to show off on the fronts of castles, churches and cathedrals. The locks would really serve two purposes to look impressive and to keep the building secured. Best Locksmith has a look back at the history of door locks. The First Keys & Locks Were Made Of Wood: Believe it or not the first locks that were made were out of wood. They were carved in the same way that locks are cut out of metal today. Back then woodworkers were the craft that most people would use including to make locks. The lock was made using pins that would lower using gravity and lock the gate or door that it was installed into. The lock was only one part of the locking mechanism and a wooden key was the other. The key was carved with bumps that would engage the pins in the lock and open the lock to allow access. Keys & Locks Moved Into Metal Fabrication: After some time metal workers made locks and keys which were much more sturdy and secure. Metal is a much tougher material to break or take apart and that made the lock much more secure. The metal that was used still followed the same fabrication that the wood locks did. Although the main function remained the same the intricate work that could be accomplished using metal was much more extravagant. Locks were used mainly to secure someone’s personal belonging while they traveled. It was more of a portable object and wasn’t used as often to secure buildings and doors. Locks Are Used All Over The Place: If you think about it, locking items up is so mainstream that there is probably a lock on every door in your home, car, office and even on your safe and gate. Locks are so widely used that you may easily take them for granted; until they stop working. If your keys or locks are broken or not working optimally, contact a professional locksmith like Best Locksmiths in Wisconsin. If you are in need of having your locks repaired or replaced call Best Locksmith in Racine, Kenosha, Oak Creek & Burlington Wisconsin today. 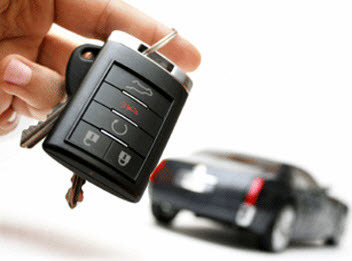 What are the Different Types of Automotive Keys Used for Cars & Trucks in Kenosha WI? If you have ever locked a key in your car you know that it can really upset your day. The waiting for a spare key can take hours. If you are unlucky enough to not even have a spare key you are hoping to find a locksmith that can come out and let you in your car. A bigger problem that people have are when you lose a key and cannot find it! This not only puts a damper on your day but can leave you completely stranded. You will need to hire a mobile full service locksmith such as Best Locksmith to come out and make a new key for you to get you back on the road. Most cars no longer take a standard key. They have advanced and there are several types of keys, so knowing what you have can help get a replacement key made faster. Best Locksmith has a list of the most common types of keys used for cars. Mechanical Cut Car Keys – these keys are only cut on one side and therefore only fit in the ignition or lock one way. They are cut on either a die punch or mechanical key cut machine. After higher security laser keys were invented, mechanical keys became less common. Laser Cut Automotive Keys – these keys are cut identically on both sides and can therefore fit into the ignition or lock either way. The are cut using a high-tech laser key cutting machine. Smart Key – many of the car keys that you get when you buy a car are considered smart keys. They have chips in them and can do more than start the car and open the door by inserting the key. These are different from a standard key since they are not actually used to start the car traditionally. There is not a key that is inserted into the ignition. It has a computerized chip that allows you to start the car with a button as long as the keys are close to the car like in your pocket or purse. Transponder Keys – these have either a mechanical cut or a laser cut depending on the manufacturer. The great thing about this type of key is that there is a chip in the handle that can be used to stop the ignition from starting without that particular key. IT is an added security measure. Vehicle Anti-Theft System (VATs) Keys – these are mechanical-cut keys with a black resistor on the blade. For added security, they have one of the 15 possible values. There is no computer technology on VATs keys. Valet Key – You can have a valet key made to use when you drop your car off with a valet or someone that you don’t want to have access to all the areas of your car. You can give that particular key to enable someone to drive without having access to your trunk or any locked areas such as your glovebox. If you have lost or had a car key stolen and need to have a new key made call Best Locksmith today in Racine, Kenosha, Oak Creek & Burlington Wisconsin. Dealing with a lock or key problem is never fun, and these problems always seem to arise when you are in a hurry. Locks that fail to perform properly can become extremely frustrating. There are many factors to consider when it comes to a faulty lock and how to go about fixing them or having them professionally repaired. Locks have a large number of small intricate working pieces and if just one of those pieces fails to perform its duty properly, you can be left standing outside your locked door unable to get inside. 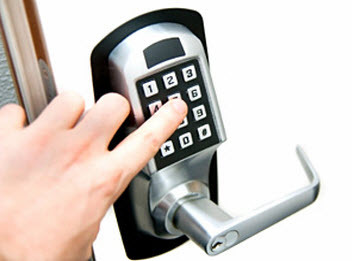 Best Locksmith is your number one source for professional, fast and reliable locksmith service. Poor Lock Installation; Door Latch or Knob Hole Too Big or Small? One of the most common malfunctions that a lock experiences is a dead latch that will not work properly. The dead latch is designed to prevent the opening of a door by manipulating the latch with a foreign object like an ice pick, credit card or other object to “jimmy” the door open. In order to work properly, the dead latch must be completely depressed when the door is closed. If it is not all the way depressed then the dead latch will not function properly. A dead latch is a part of the lock that can be properly repaired by a locksmith from Best Locksmith. The most common cause of a faulty dead latch is poor installation of the lock. Best Locksmith specializes in lock installation and will get it done right the first time! A faulty deadbolt can be an open invitation for burglars to enter into your home. When a dead bolt does not close completely or does not extend all of the way, it can easily be pushed back into the door with an ice pick or similar type of tool. Many homes are built and do not leave enough room in the door jam for the bolt to completely extend, this means that the front door will not ever really lock. A professional and experienced locksmith from Best Locksmith will repair your deadbolt problem by adjusting the strike position or boring out the door frame to allow the dead bolt to fully extend. 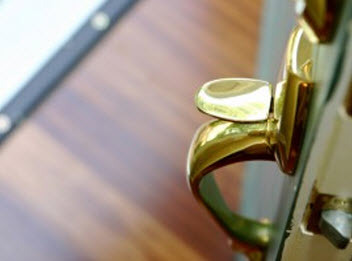 No matter what type of issue you are experiencing with your lock, Best Locksmith will provide you with the highest level of locksmith service and quality repair. No job is too big or too small for Best Locksmith, any time of day or night our team will answer your call in Racine, Kenosha, Oak Creek & Burlington Wisconsin. Facts & Statistics About Burglaries & Break Ins that Every Kenosha WI Homeowners Should Know! One of the scariest things to come home to is a burglary. Even scarier than that is to be home when someone tries to break in. No matter what scenario you are in or have ever been in, you are sure to think about the best way to keep your home secure. What all people should do is to think hard about these things before they become a victim. There are many things about home invasions and burglaries that you should know about and the best ways to secure your home. Best Locksmith has some statistics about burglaries that all homeowners should know and how to secure your home. More Than Half Of All Break Ins Are By Force: These are scary statistics to look at. The fact that a simply locked door will not keep a thief at bay means many homes are at risk. This also means you need to take the security of your home very seriously. The kind of locks that are on your doors and windows are important as well as the diligence in confirming they are locked and secured. Homeowners need to be more and more aware of their home security and take the time to check the locks and set the alarm to ensure their safety. More Than Half Of All Break Ins Happen In The Day Time: This is another scary stat to look at. This means that while your home is most likely sitting empty with kids at school and parents at work, a burglar can be trying to gain access. This means that when you leave your home you need to get into the habit of securing all the doors and windows and setting the alarm to alert you and the alarm company that a door or window has been opened. Be sure to stay alert to your surroundings and watch out for your neighbors as well. More Than One Third Of Burglars Use The Front Door: Most people think that simply locking the standard lock on their standard door is enough to keep out a would be thief. The problem is that many doors are not sturdy enough to withstand someone using a bit of force. People also assume that the locks are more secure than they are. If you do not have a deadbolt on your door, you do not have a secure enough locking system. The deadbolt will add a serious level of security as long as it is installed correctly. If you want to have your home locks inspected by a professional call Best Locksmith in Racine, Kenosha, Oak Creek & Burlington Wisconsin.